Investing in a car can be quite the expensive endeavor, but it doesn’t necessarily have to be. 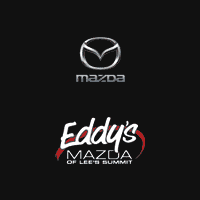 Here at Eddy's Mazda of Lee's Summit, we offer a variety of used cars under $19,000 so you can drive home knowing you got a great deal. Whether you’re looking for a Mazda or another make and model, our ever-changing inventory of affordable used cars is sure to accommodate. Rely on us for financing, and stop by when you’re ready to view our inventory in person. We hope to be your resource for cheap used cars for sale in Lee's Summit! For cheap used cars for sale in Lee's Summit, choose Eddy's Mazda of Lee's Summit! We have a variety of affordable used cars under $19,000 waiting for you on the lot. * 107 people have viewed this vehicle! * 48 people have viewed this vehicle! * 60 people have viewed this vehicle!